Peek-a-boo I see you….Just when you thought it was safe and Chicago Department of Water Management had “Homeland Security under control”, I found a Chicago Water Truck hidden behind two dumpsters and a parked car. Left Center Left documented Chicago residency laws are a joke. Also, if we care about our drinking water not poisoned by the enemies of the state, lets make sure these trucks are not hidden behind dumpsters in the suburbs by non-union companies that might hire non-documented workers. Call O’Connor and he can show a badge and act like a tough guy. Call the F.B.I. call the C.I.A. Call the Commissioner, what are our trucks doing in the suburbs? Stop putting Chicago lives on the line. Why are they hiding the truck (WSD 788) License Plate (M 89 195) and from whom? 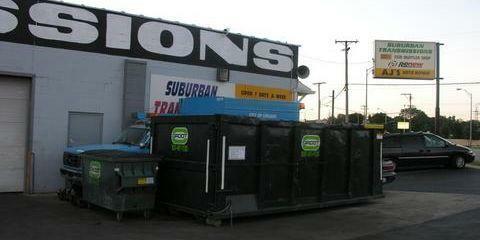 What Union Teamster dropped the truck off into the suburbs? Photo by Patrick McDonough. for your information this shop does work on city vehicles from aa departments.